This has obvious relevance in Aotearoa. The prison system disproportionately affects Maori and Pasifika people. The powers of the state – to harass, humiliate, detain and lock-up – are felt every day in brown people’s lives. The history of white settler colonial rule has relied on locking up and disenfranchising Maori people. A new phase in capitalism, and the symptoms of poverty in recession, looks to imprisonment again. The police in New Zealand do not have guns on them all the time, fortunately, so we do not see the alarming rates of state murder that there are in the USA. But deaths in custody, or at the hands of police in the streets, are not unheard of. 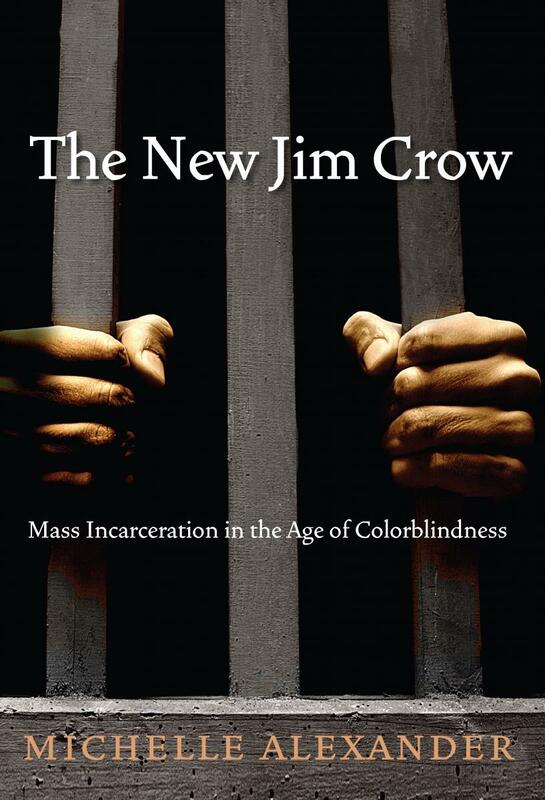 Michelle Alexander’s New Jim Crow gives us the chance to consider parallels between the struggle here and in the US. “In the eyes of the U.S. justice system, if you kill a Black teenager, you’re innocent until proven guilty. But if you are a Black teenager, you’re already guilty when you get up in the morning. These are two faces of the U.S. criminal justice system, where the priority is anything but justice and where racism infects every inch of it – what Michelle Alexander has rightly called The New Jim Crow. While police killings of black people in the USA is not a modern phenomena the sheer scale of how many people are caught up in the prison system now, and the ‘justice system’ more generally, is startling. Alexander suggests that there are more black people now either doing forced labour or in prison than at the height of slavery in the south. For a whole generation of black people the loss of years of a life – their own or that of a loved one – to prison is a normal and everyday thing, to say nothing of state murders in the form of the death penalty, another racially-loaded piece of violence. The huge powers the state has – from execution through to massive prison complexes to armed officers going uncharged after killing black youths – lends a sense of omnipotence to the state. How can we resist in the face of all of that power? The militarisation of policing in the United States shows that our rulers understand this; as the numbers of jobless grow, the power of the state to frighten and cajole workers, and black workers especially, becomes more important. But it is not all about force. Collaboration plays an important role too. The philosophy that the government perpetuates in the neoliberal era, that of an official ‘bi-culturalism’ here ‘colourblindness’ in the US context – as Alexander describes it – is an important ideological weapon. Racist policing is presented as a response to anti-social behaviour, violence, mugging and so on – black men can be stigmatised as violent (even though they are disproportionately the victims of violent crime) without the state ever having to use explicitly racist terms. The ideology of colour blindness is as follows: Since there is no longer actual racist laws like the old Jim Crow system, and there has been an expansion of the black middle and upper class, the USA is no longer a racist society. If black people are in poverty or in prison or get killed by police it is because they have a personal failing i.e. they are lazy, criminal, or stupid. While the old Jim Crow relied on no black people being part of the ruling class the new Jim Crow relies on there being hundreds or thousands of success stories of black people who have made it – because this proves that the system is not racist. The USA’s rulers can go on presenting themselves as the leaders of the greatest country on earth; those who have ‘made it’ can talk about there being a ladder up, all the while busily kicking away any real support for poor and unemployed black people ‘below’ them. The situation in Aotearoa/New Zealand is in many ways similar. Life has changed since the 1970s – there has been an expansion of tribal corporations, there are many more Maori MPs and employers than was true in the past, and of course there are a lot of successful Maori sports players and musicians. In this way the situation is similar to that of the African American population in the USA. The scale of oppression by the prison system is also similar – New Zealand and the United States sharing some of the highest imprisonment rates in the developed world. There are also important differences, however; Maori, as an indigenous people, are fighting for land rights and for Te Reo Maori, giving the struggle here a different dynamic and setting. Despite the real gains of the last generation, appalling oppression persists. As of 2007 Maori made up around 50% of the male prison population and over 60% of the female prison population. Of all criminal apprehensions 42% of those apprehended identify as Maori. Maori are six times more likely to be in prison compared to non-Maori. The sources for these statistics come from the Corrections Department themselves. For Maori youth the picture is even worse. As of 2007, 30% of Maori males aged 20-29 had a record of serving one or more sentences administered by the Department of Corrections. Most appallingly however is the fact that in the decade 1997-2007 3% of Maori males aged 20-29 were in prison at any one time, either on remand or as prisoners. This was over 6 times more than for non-Maori. It is a figure that suggests almost every whanau, group of friends, or extended social network will have been affected. This kind of grinding repression of Maori, and Maori youth would be inconceivable without what Marx called the ‘constant revolutionising of social relations’ i.e. the massive growth of prisons and policing. Like the ‘New Jim Crow’ in the USA it is important to point out that the massive rates of police harassment, humiliation, brutality, and imprisonment rates of Maori has not been the same throughout New Zealand’s modern history. The way that racism has played out here, and changed over time, is something we will be exploring in future articles in our magazine and website. For now, though, this graph gives some sense of the scale of the oppression. How did it come to be like this? How could we end this injustice? The ‘get tough’ rhetoric of law-and-order politicians cannot explain this situation. If prison made the world safer, why are there no reliable statistical connections between crime rates and rates of imprisonment? But why has the state turned to the prison system more in recent years? What sorts of connections are there between the criminal injustice system and the policing of workers – both Maori and non-Maori – in wider society? We see racism, and the ongoing oppression of Maori, as central to the smooth functioning of New Zealand capitalism. One of our goals as an organisation is to produce research around these questions, and around the historical forms racism has taken in this country, alongside the ‘new Jim Crow’ here. We want to develop work that can be put to use in the struggle: to put racism of capitalism in the neoliberal era into historical context of the land wars, the prophetic resistance movements of the late 1800s and early 1900s, the urbanisation of Maori in the 1950s, the last wave of uprisings here from 1968-1984, and then the current neoliberal period. Some of the spirit of the debates around the publication of The New Jim Crow could spread to Aotearoa. It’s a book that shows how engaged scholarship does not need to be divorced from activism, and can strengthen social movements. It’s questions are highly relevant to us here. The New Jim Crow deserves a wide and passionate audience in Aotearoa.